Carmarthenshire Fungi: A nice meal if you had a ladder! A nice meal if you had a ladder! This Chicken of Woods fungus ( Laetiporus sulphureus) has taken advantage of a broken branch on an old oak alongside the Tywi, finding a way through the tree's defences. 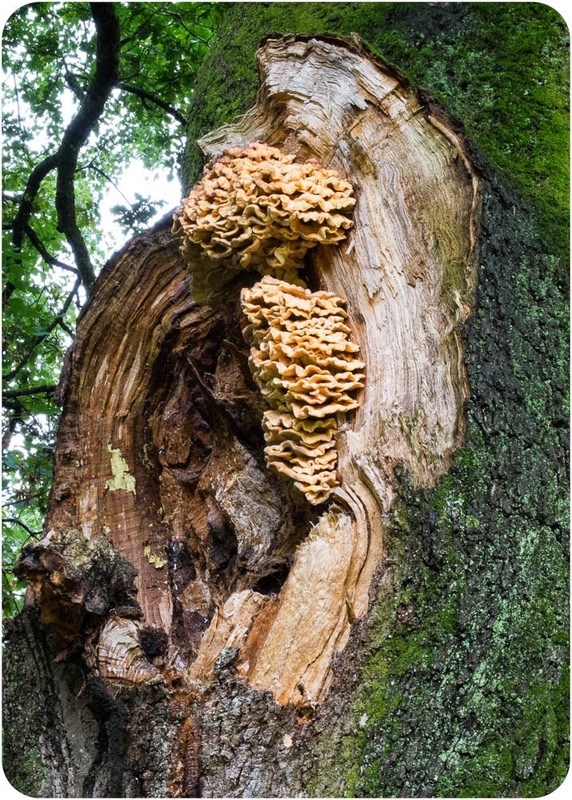 This fungus however is not quite the death sentence that the Dryad's saddle was to our sycamore tree previously, as the fungus tends to attack the heartwood and the tree could last many years. Chicken of the Woods is considered a good edible fungus and from the size of this example it could feed a family! A popular way of cooking this fungus is to cut it into slices, brush them with oil, and then fry them in breadcrumbs; serve with lemon juice. The taste is quite like chicken; however, although most people find this a good edible species a small minority find that it causes feelings of nausea. If frozen (uncooked), this fungus retains most of its flavour, and so it is a good species for storing in preparation for the winter months. Funny how some fungi seem to fruit at the same time across a wide area - found some very fresh Chicken of the Woods at the base of an old oak on Waun las NNR last Friday. 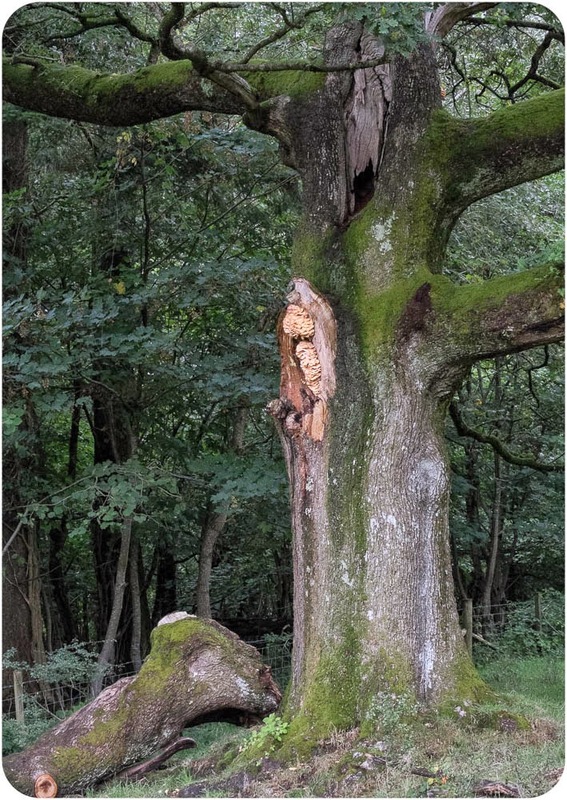 Last autumn, I was also called to look at an old yew tree in a churchyard in Llanddarog - it was covered in Chicken of the Woods which, I think, is a good thing as it hollows out the heartwood as you mention in your blog.